Posted on May 22, 2012	by Gill Phillips - Whose Shoes? My work as Publications Manager at the Dementia Services Development Centre sometimes feels a bit far removed from the people with dementia that we work so hard to help. Being the person behind the publications is a fairly deskbound job, with most communication by email so we have a good history of the production of our books. Running Dementiahop, our online bookstore (www.dementiashop.co.uk) also keeps me in the office – and on my toes! So with very little one-to-one contact with people with dementia or their carers it could be easy to lose sight of how much good my work actually does ‘out there’. So it was a delight when the manuscript for 10 Helpful Hints for Carers popped into my inbox back in 2009! Here was a book for the family carer, the friends, the concerned neighbours. This was the book that I could see would most directly benefit my family and friends should they ever get the news that a loved one has dementia. Most of our publications are aimed at the paid caring and medical professionals who work with people with dementia every day. Many of them are practice guides, workbooks, the type of book that is tool to help them in their job. A bit of time and concentration will be required to get to grips with some of the content. In a way 10 Helpful Hints for Carers is also helping someone to do a job, as carers work hard to look after their loved one. But it had to be different. It had to be small. It had to be easy to dip in and out of, because most carers don’t have hours to spend reading a book (on any subject!). It had to be easy to navigate because it’s packed full of hints and information. And it had to be ‘friendly’. We wanted this book to be relevant and useful to every carer. For me, the fun elements of this job were working on the design of the cover and choosing the photographs, because these things really brought it to life and made it ‘friendly’. But the most satisfying part is knowing that this book is now helping so many people .More than 30,000 copies have been sold throughout the world since its launch in York in 2009. And that somehow makes me feel a little bit closer to them. 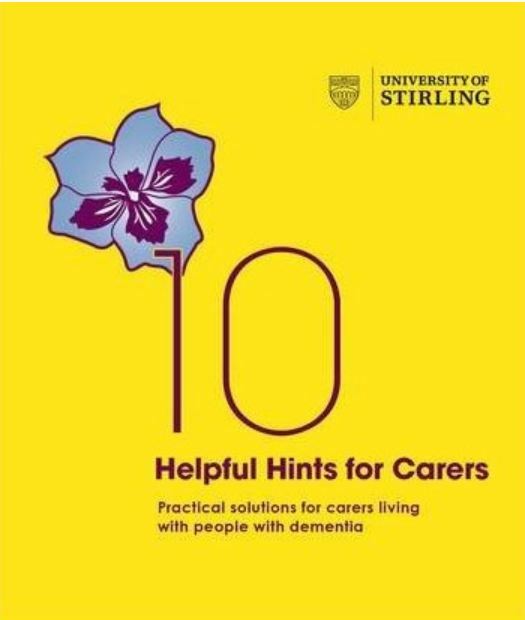 Footnote: 10 Helpful Hints for Carers is an easy-to-read guide for carers living with people with dementia. It provides simple, practical solutions to the everyday problems family carers can face when looking after a person with dementia. Covering areas like how to cope with aggression, creating relaxing environments, ‘wandering’, sleeplessness and how to cope with dementia and depression, it is a mine of information and good advice. 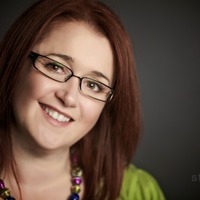 Editor’s footnote: Antonia is no longer working at the Dementia Services Development Centre but the importance of providing excellent support for carers will always be there! This entry was posted in Blogs, dementia, Guest blog, in my shoes, personalisation, social care and tagged Alzheimer's, carers, Conditions and Diseases, dementia, dementia awareness week, dementia challenge, elderly, health, make a difference, older people, personalisation, public sector, publications, research, Stirling, Think Local Act Personal, university. Bookmark the permalink. to Antonia I am very pleased book was a success and helped so many other carers. My presentation can be accessed below. Dear Bill and Ada, congratulations on 61 years of married life 🙂 I read your story with interest and it was heart-warming to hear that Ada has been so well looked after and that you, Bill, have been so well-supported by your family. It sounds like you have now found a home that is well suited to Ada’s needs and that you are happy with. This must be very comforting for you. To Antonia,thanks for your comments. I am pleased there are so many your shoes people talking about DEMENTIA,keep up the good work ,let us all spread the word and campaign to STOP the STIGMA and the DEMENTIA TAX. Pingback: In the shoes of… Julie Christie | Dementia researcher | Whose Shoes?